Hello Inspired Room Readers! It’s Cassie here for my first post of the new year. January is an interesting month around our home. On one hand, it’s sort of a dreary, post-holiday month. On the other, it’s a month of beginnings, new projects, and the desire to organize our home. Almost every year we start off making a list of things we want to accomplish in our home, try to budget accordingly, and get things cleaned up after the holidays. 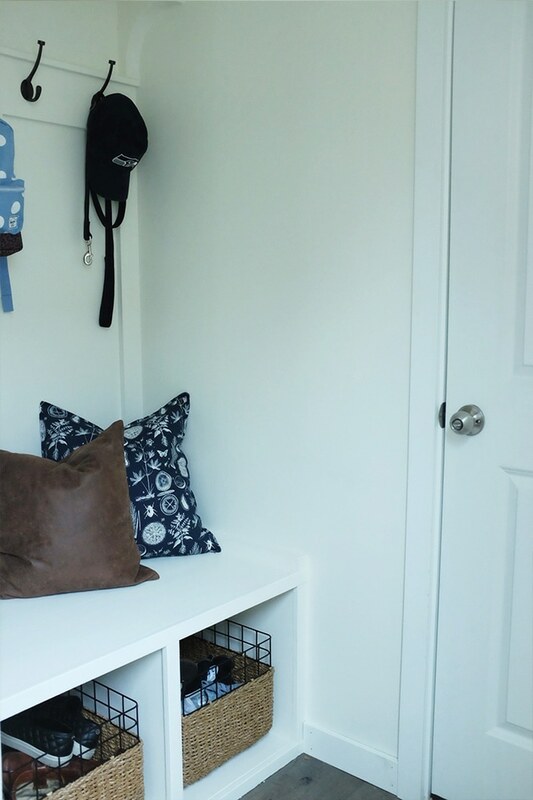 Our mudroom after making a bench, adding board and batten, using new hooks, and doing a fresh coat of white paint. 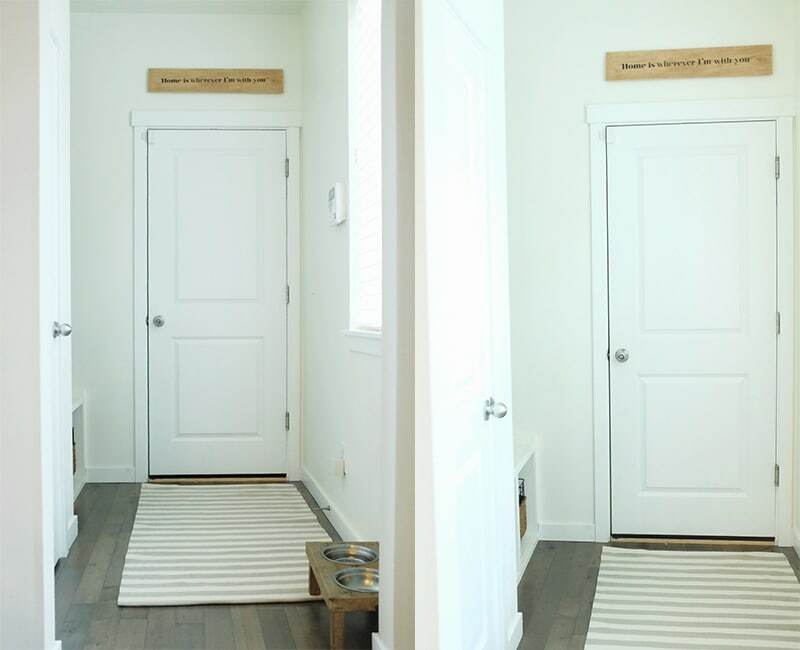 We were in full clean-up mode the first weekend of the month, when we decided we had to deal with the disaster that was our mudroom. 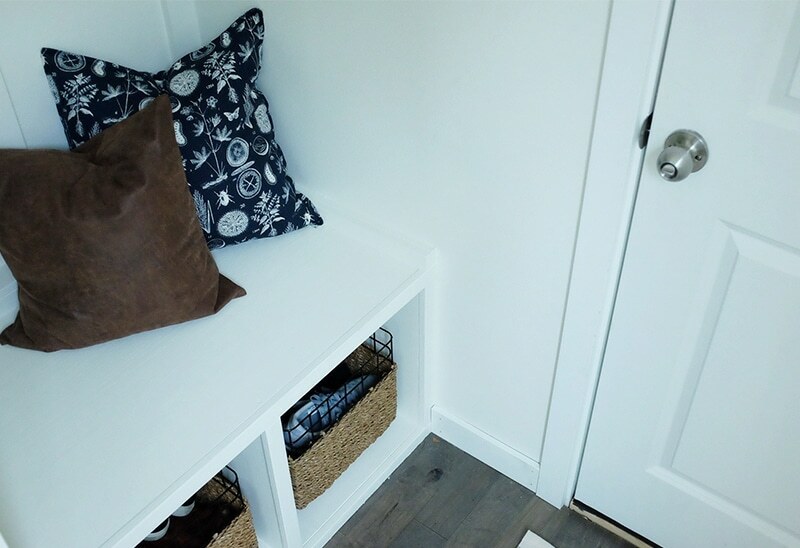 Even to call it a mudroom was sort of a stretch. It didn’t really function for our family, and in order to get things started off on the right foot, we just jumped on in and decided to change it. Mudroom before-it’s bad. really bad. I warned you all it was a disaster. We sorted and cleaned out all the coats, shoes, baby things, and junk that was apart of the mess. Then we drew up an idea of what we wanted and made a list of what we needed. After all the junk was gone. 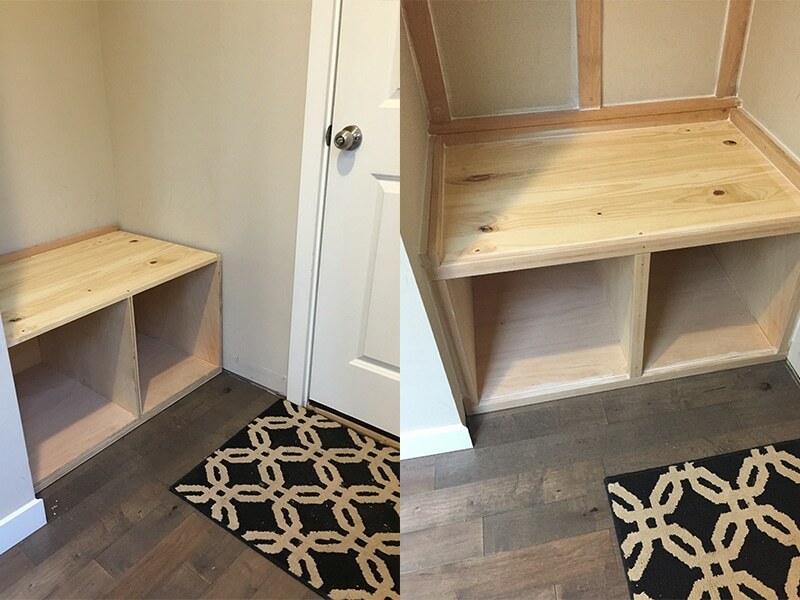 The first step was to make a bench with storage cubbies. 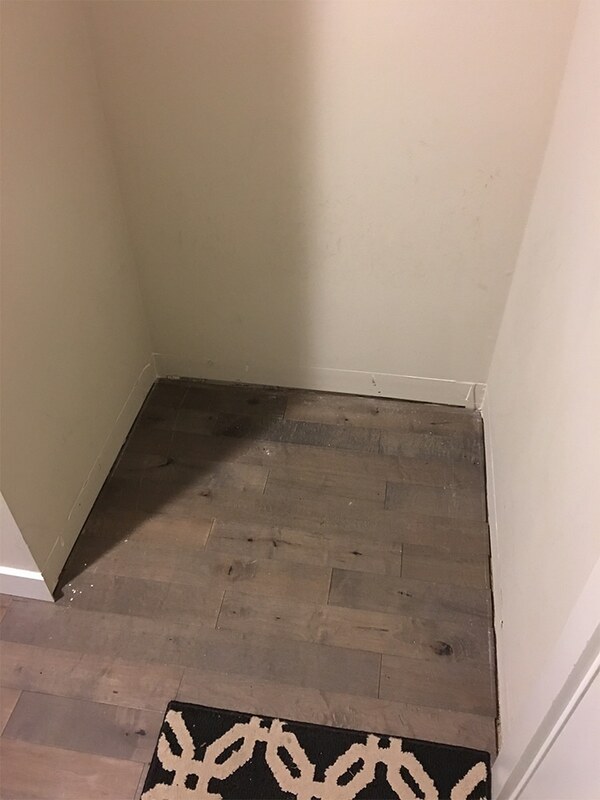 We wanted to have a place to store shoes, but where they wouldn’t be able to create a huge mess and could be contained to keep things nice and tidy. 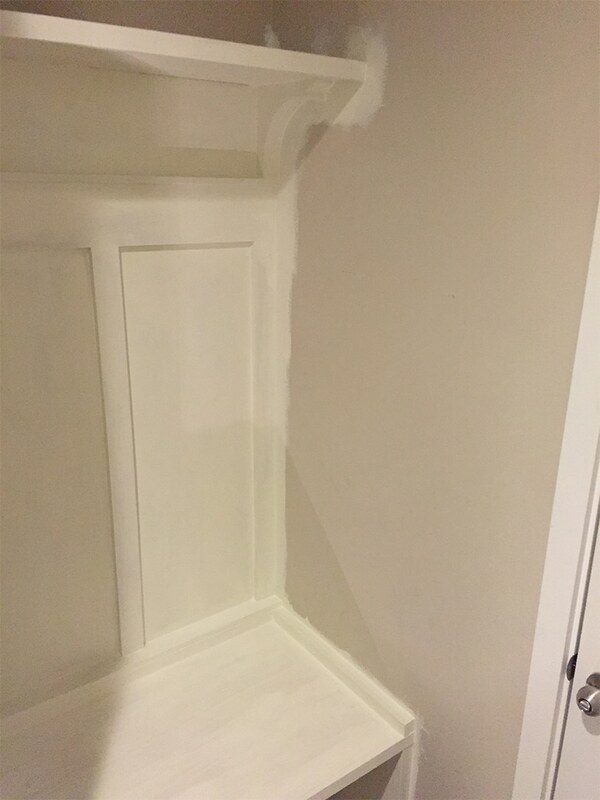 Left:Wooden bench in place, Right: Bench with molding and caulking. Once the bench was in, we installed some trim and a shelf above the bench to sort of frame it all in and provide a place to install the coat hooks. Before we painted, we also caulked all the edges and smoothed over any nail holes. 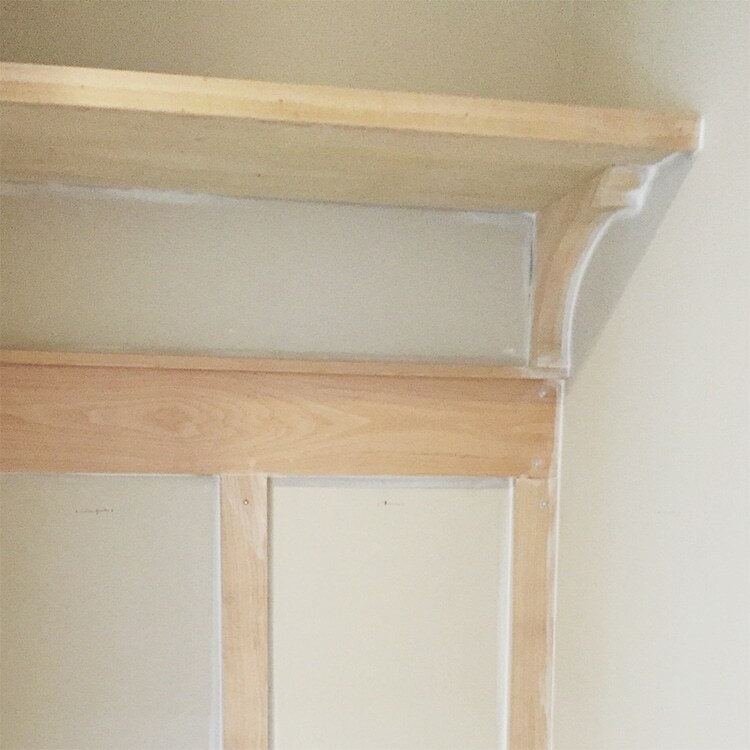 Shelf with molding and caulking. You might notice we didn’t do any wood behind the trim, as is typical of real board and batten wainscoting. We wanted that look, but realized that this wasn’t a super visible location. 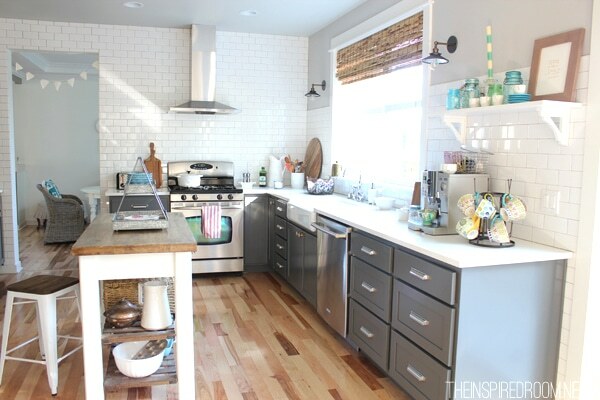 If this area was in more of a common area of our home, we probably would have included the wood on the back. We painted the entire bench, walls, and woodwork the same shade of white, Dover White by Sherwin Williams. We decided to use the same color as the trim of our house to make it look more built-in. The whole project was completed in less than a week, with most of the work being done after our kiddos went to bed. I am so happy with how it turned out! It looks so much brighter and it’s already functioning much better for our family. I am loving having the shoes contained to the baskets. 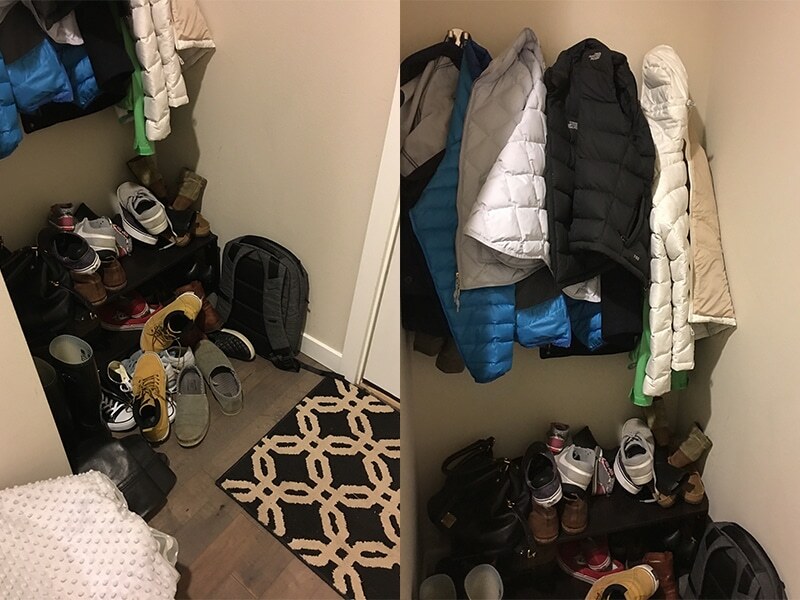 They also help us limit how many shoes we keep downstairs, and when they get full, we go and put all of them away upstairs. 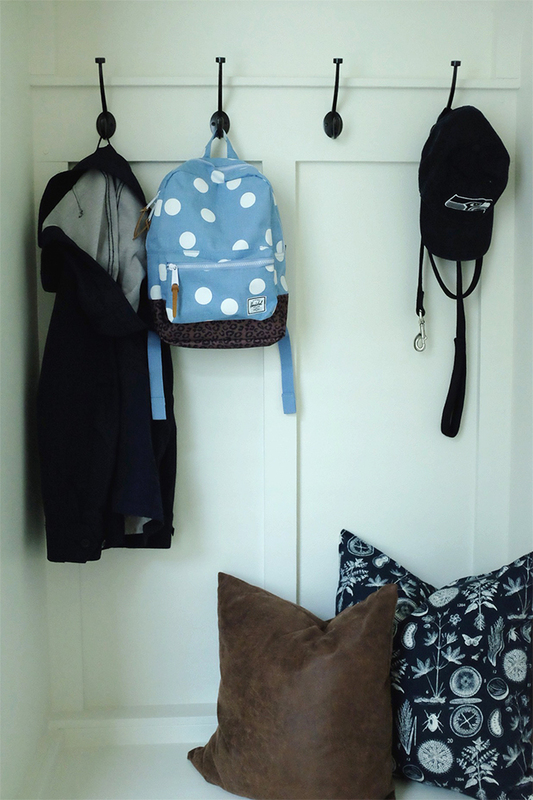 We have a coat closet as well, so we are trying to just keep our favorite and most used coats and bags out on the hooks. The bench works great as a place to help my toddler put on shoes and set the baby carseat on while I load the car. This space gives joy to me every time I come and go. It functions better, and it definitely looks better. 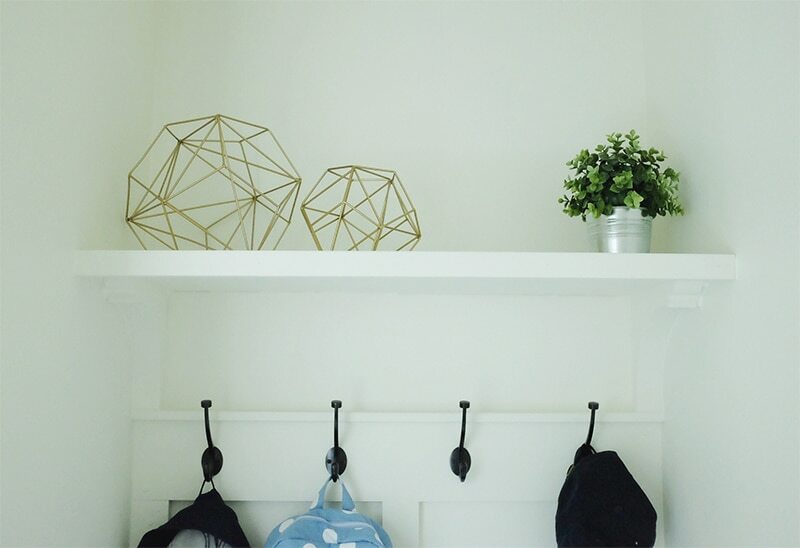 I hope it inspired you as you tackle those untidy corners of your own home! About fifteen years ago, I stumbled upon a life-changing habit that transformed my home and life for the better. It was really quite a simple discovery, as often the most sustainable ideas are. I really tried hard to follow all the complicated systems for keeping up with a house and I failed at every single one. When you feel like a failure as a homemaker, it’s easy to give up, to even go the opposite direction and proclaim that you just don’t even care what your house looks like. You’ve got more important things to worry about than chasing dust business and doing dishes! I get it. I agree, we DO have more important things to do. And that is precisely why I came to the conclusion that I needed to make a change in my approach. I desperately needed to get control of my home because I wanted to more fully enjoy and be able to focus on more important things. I needed to bring more order to the chaos, so I could be the kind of person I wanted to be. I still laugh sometimes (to myself) about how challenging I found housekeeping to be before I realized this life-changing truth: the best way to have a pretty, put-together and clean (enough) house is to practice simple, daily habits. The trouble with daily clutter is it doesn’t go away with the one big decluttering frenzy never to return again. 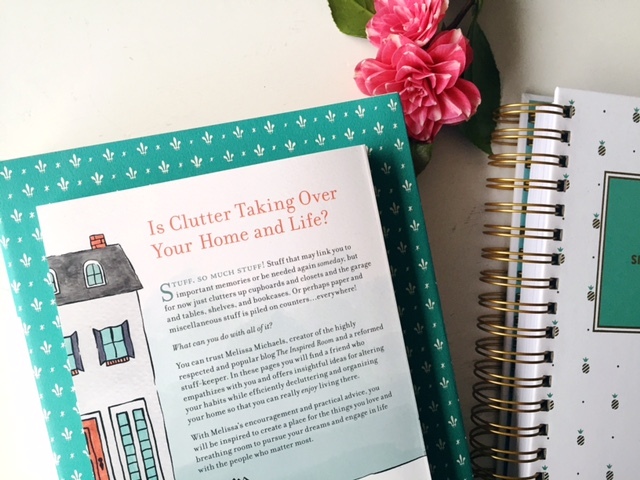 In my new book I share my simple secrets to daily habits and practical tips for decluttering and organizing. Make Room For What You Love is available now! I want to help you create a home you’ll love to live in! You can find Make Room For What You Love here! Find more about how to have a clean enough house by starting a morning routine over at (in)courage, I hope you’ll go take a look! My daily routines changed everything about my perspective and practicing them continues to empower me to this day to live the life I really want to live. I wrote more about creating daily routines, the story of my own home-creating journey and how daily habits impact our home in my book Love The Home You Have, which is a New York Times Bestseller (still can’t wrap my mind around that but thank you to everyone who supported it!). 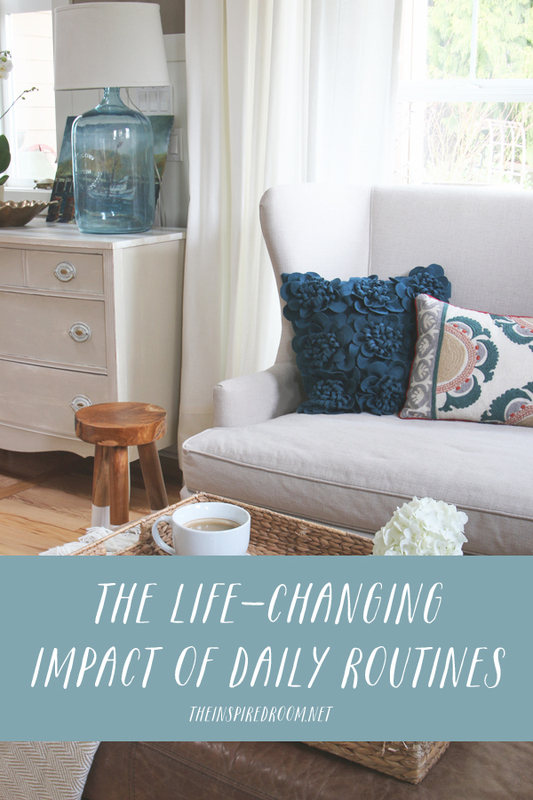 If you would like a gentle nudge, encouragement and practical tips to get your home, daily routines and perspective in order, you can find the book here.